Block Draughts From Your Windows FOREVER. Ventilation is good… not until it destroys the balance in your indoor temperature and becomes uncontrollable! Stop draughts from stealing your thermal comfort by draught proofing your casement/awning windows with ecoMaster’s Draught Dodgers! Acting both as an acoustic and draught seal, this high-quality sealing solution lasts for the lifetime of your home. They work hard in blocking the air leaks around your windows to keep you comfortable in summer and winter without the need for extra air conditioning. Draught Dodgers stop draughts entering your home from around the edge of awning or casement windows. The kit is fitted so that the compression seal presses lightly against the window as it is closed. 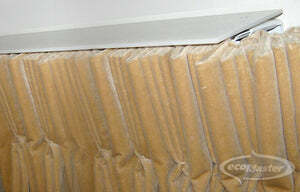 This creates an airtight seal around the entire perimeter of your window. Fix your draughty windows with the world’s award-winning solution! 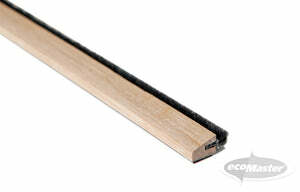 They are a self adhesive, 15mm x 10mm timber carrier fitted with a high quality, black, mini compression seal. This product is easily cut to size during installation to fit your windows perfectly.